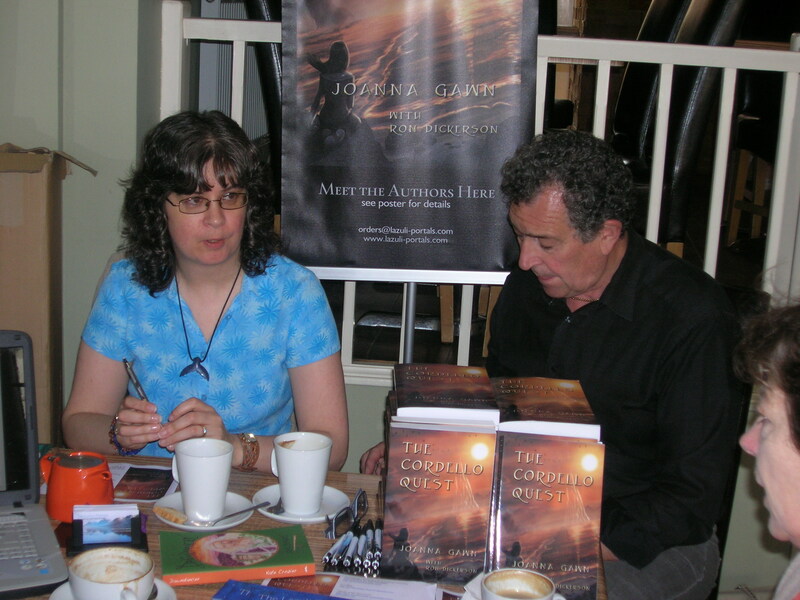 How did our Meet the Authors event go? 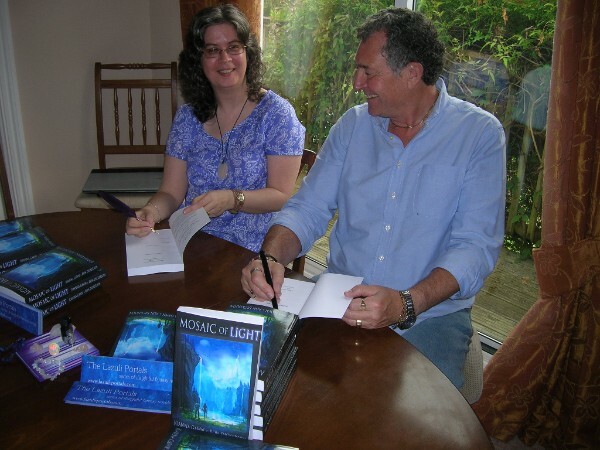 There were some marvellous synchronicities – our very first ‘guest’ was a lovely lady who’s written a book containing … yes, you’ve guessed it – crystals! Her novel’s heroine is named Tiera (whereas ours is, of course, Keira) and she said she simply had to come and meet us! 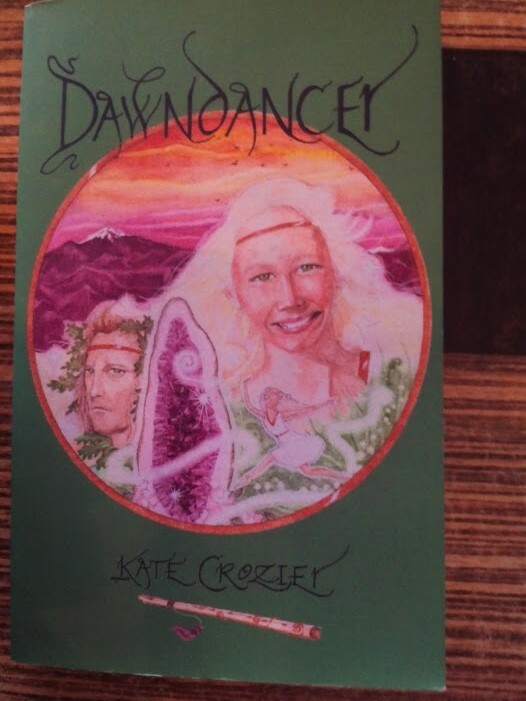 She brought her own novel, Dawndancer, for us to look at. We’ll certainly be checking it out! This lovely lady is also a talented artist. The atmosphere of our space within the Tangerine Tree Cafe was warm and welcoming. 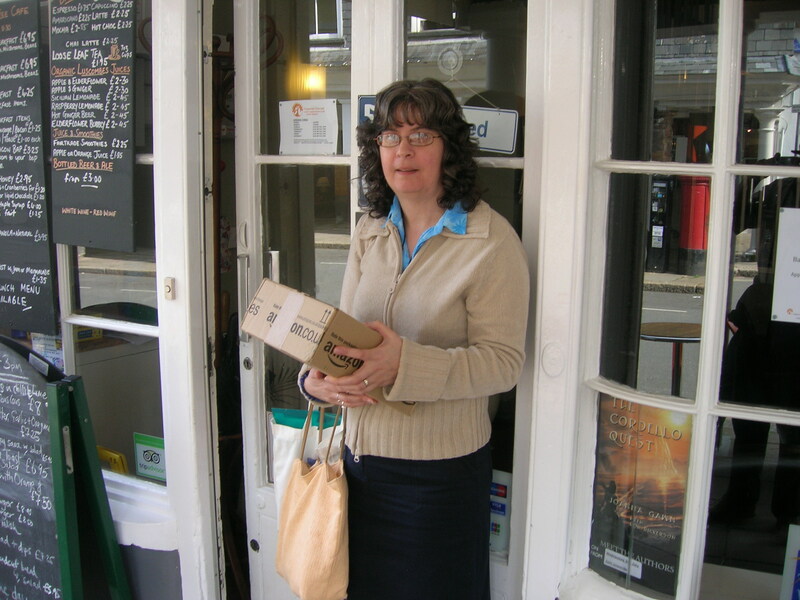 Joanna had also sent Reiki and lovelight to the space ahead of time to ensure that it felt as positive and light as possible. 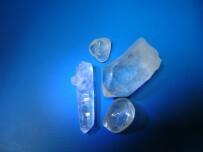 She took a pouch of crystals along to further enhance the energy of the space. That prompted some discussion, with guests handling the crystals and talking about their own experiences. Our event has certainly given us the taste for meeting with more of our readers (existing and future) in person, and we’d love to do another sometime. Or two. Or three …. especially if cake is involved! If you couldn’t make the event and would like to purchase a paperback copy of The Cordello Quest, you might be interested to know that Amazon UK are currently discounting it to just £4.19. The Cordello Quest is also available online through Waterstones, The Book Depository, WHSmith, etc, if you prefer to shop elsewhere. 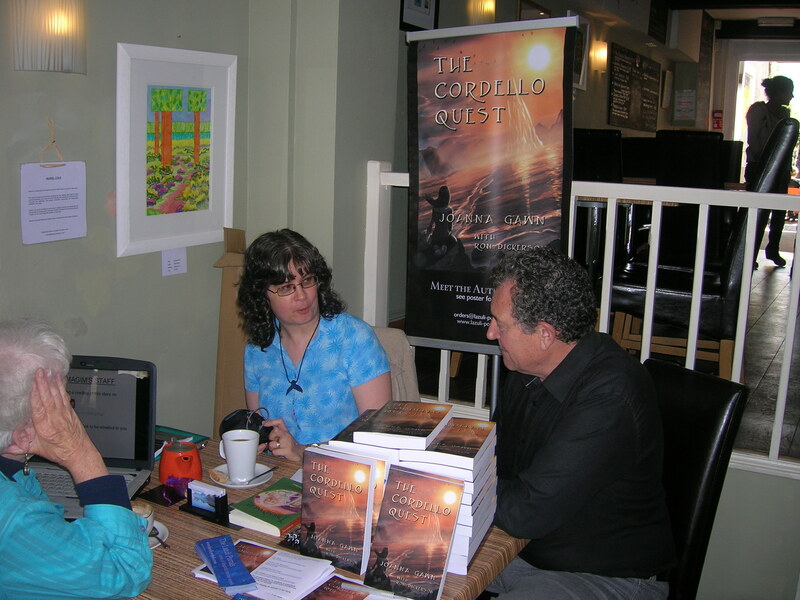 Next Next post: The Cordello Quest Blitz Tour! I am so very excited to know how much fun you had!!! I knew it would go well, but to have so many synchronicities also!!! How exciting!!!!! Much love, my friend! I totally agree, Linn – and the energy emitted from some stones is quite staggering! Lovely to know you’re on the same wavelength. 🙂 So sorry I missed your Facebook event launching ‘Ceri’s Journey: Angels’ yesterday but we were out until late, and my husband and I didn’t get home until a couple of hours ago! I will pop in now!